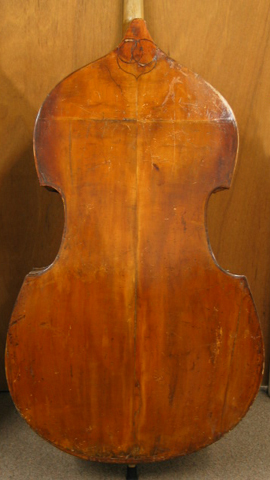 Upper Bout: 20" Belly Length: 43"
Center Bout:14 5/8" String Length: 41"
Features: Classic Bohemian/Prague School Orchestral Double Bass. 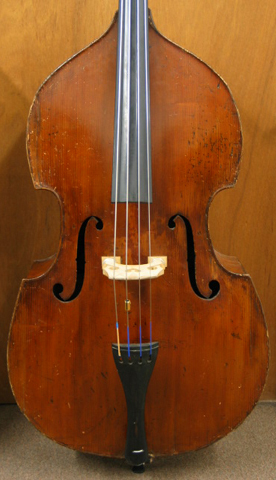 This Bass is currently being offered "as-is", pre-restored at a greatly reduced price. 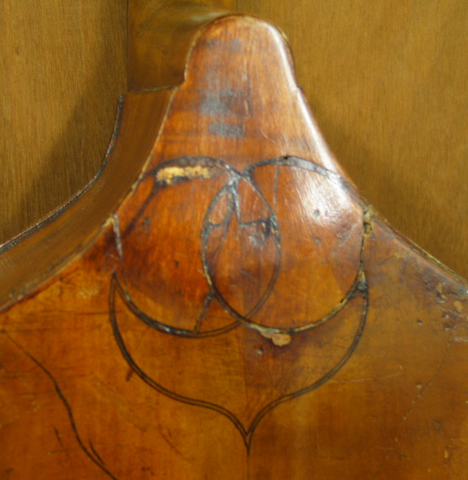 The Lable in this Bass may be a repair label as the bass itself seems to be from a much earlier period as Bilek is known only as a Violin maker from a later period than the style of this bass. Note: This is a quality sounding well made Double Bass that is currently being offered at a reduced 'pre-restored' discounted price as-is! 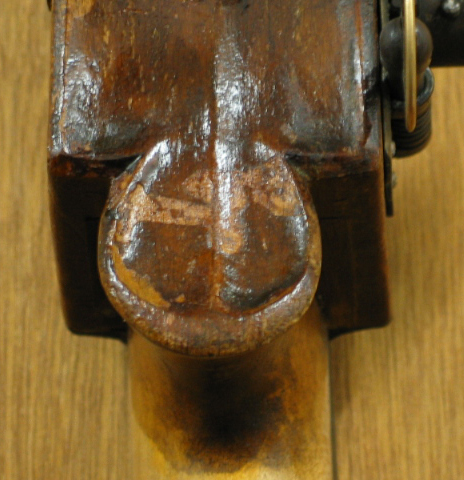 Sometime in the future if still in stock, the Bass will go into Restoration for some cosmetic repairs including the Top Edges of the upper and lower Bouts which have been well worn from wear and tear over the years. The Top will come off and internally inspected as well. Old repairs will be re-done as needed. 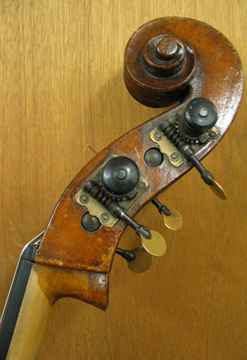 This Bass might also get a custom made Chromatic C-Extension for Symphony work as well as any other set-up needs warranted. 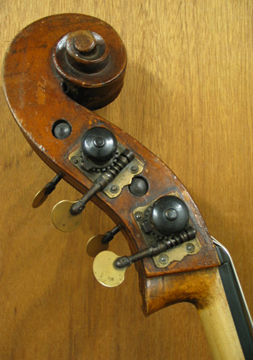 When the Restoration and modifications have been completed, the Bass will be re-lised to reflect its true value at current market prices with all of the value-added work performed. 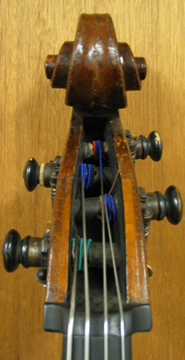 Copyright © 1998-2010 Ken Smith Basses, LTD.